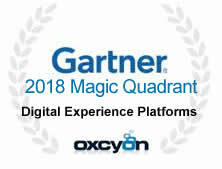 There are many reasons why Oxcyon and Centralpoint made the 2018 Gartner Magic Quadrant for Digital Experience Platforms. Schedule a demo and see for yourself why Centralpoint competes with Microsoft Sharepoint, OpenText, Adobe, Liferay, IBM, Oracle and Salesforce for world class enterprise management and Big Data. Tell us more about your project, and let us stand up a live, high fidelity prototype to show you our approach. This will eliminate your risk in selecting a vendor, allow you to compare against other vendor's strategies. Our willingness to respond to your needs by proving it tells you everything you need to know about our company, our technology and our vision. Only Oxcyon can prove it! Oxcyon is the only vendor able and wiling to build a High Fidelity prototype of your project at no cost....before you sign. Think about this for just a moment. 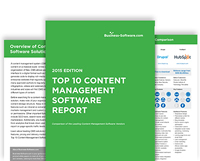 How many times has your organization contracted with a software or service provider who was unable to deliver your needs quickly and efficiently? This has likely happened at least once, and for some, happens almost every time. When will clients begin to expect actual proof before committing with a vendor? Especially a vendor who is providing you with a Platform technology. A Digital Experience Platform is a big deal. It is the platform to manage almost all of your information, for the benefit of perhaps all of your many users. To properly analyze what a vendor representing this important of a technology, you should expect if not demand they show you how it works; using your data. Still, we are surprised that organizations will decide on brand alone, without seeing anything other than a poweroint overview. Tell us more about your project, and let us prove our capabilities at our cost. We will stand up a live, high fidelity prototype of your project to show you how it will all work. Of course, we won't build everything, and it will still need to be designed around your expected UI/UX, but you will be able to see the functionality, which is the most important. This will not only illustrate where we may be able to add value with tools you havent yet considered, but it will also allow you to see what rapid application development and time to market really is. We will even import some of your data into centralpoint to let you test drive it if necessary. Oxcyon boasts the most robust, out of the box, module gallery of any other vendor. These functions are module, which means they can be turned on or off, based on when you might need them. Since Centralpoint is a Digital Experience Platform, you should have access to all that we have to offer, and merely use what you need, when you need it. The good news is, we are ready to take on virtually any new challenge you may....simply by turning on those module at that time. Your vendor should be many steps ahead of your digital strategy, able to show you new ways to do what your competitors are likely doing already. Click here to access our Module Gallery. Centralpoint eliminate obsolesence traditionally left behind with our unique Evergreen updates. These bi-weekly, remote (pull) updates guarantee that you will always have the latest access to latest tools. This approach eliminates obsolescence giving you the right tools sometimes before you need them. The days of having to sunset your older technology in favor of the newest one is over. Centralpoint remote updates mean this is the last web based technology you may ever have to invest in again. Some of our clients, have enjoyed these updates for over 16 years, giving them the lastest version of their software, which was purchased well over a decade ago. This is the maintenance and stream of enhancments you should expect from your vendor, and given the frequency of change in technology, it should be every two weeks to give you the cutting edge...always. Centralpoint's updates are careful to only update our general release, and not any local cusotmized development. This allows Oxcyon to update your core techonology without hindering the local work your developer may be doing. All local development is segregated completely from our updates. Oxcyon's job is to continously offer new modules, new tools and expand upon the features you already have. In this way, we can predict your future needs, and respond to them, prior to you encountering them. The only constant is change. In technology standards and expectations are changing faster than even. Centralpoint's unique evergreen updates makes sure you are always in stride. Click to see our past update history, which dates back nearly 19 years, and also be sure to visit future updates of things we are working on now for upcoming releases. Most vendors today offer one or the other. We offer either. Approximately 60% of our clients support Centralpoint On Premise, the balance 40% are Cloud (whether it is under their cloud hosting agreement or ours). The exodus to cloud has helped many vendors streamline the management of their applicaiton and updates, but we are able to do the same thing for On Premise installations, via our Evergreen Updates. It is really the best of both worlds, letting you install Centralpoint On Premise, supporting local development, without inclurring obsolesence traditionally found with left behind applications. Oxcyon can support highly secure, mission critical dedicated or Cloud offerings which relate to PHI, HIPAA, FISMA, or many compliances. Oxcyon can even provide you with a dedicated Private Cloud solution catered specifically for your project needs, and may leverage Azure, AWS, Rackspace or Google. Our interest is that you be in an environment which offers you the highest level of security, support and compliance. Please see our technical documentation and certifications relating to both On Premise and Cloud hosted solutions. When you already have your platform, but need to add functions to it. Centralpoint Developer License allows you to license the modules within Module Gallery to take your enterprise to a whole new level. This license would include: Global Login, SSO, Data Transformation, Web API, Forms, and Data Sources only. Many clients license this version simply to gain access to our developer tools enabling them to migrate and massage data between any disparate systems. This license would be recommended if you already have some digital strategy and incumbent platforms in place, but need to streamline information to or from those systems. When you need a new platform to manage an enterprise and a finite number of your constituent's microsites (wheel). This license gives you full access to our module gallery and a Site Wizard with a specified number of microsites which you can create and manage (each with unique URLs, designs, and administrators). This license includes full access to our Module Gallery, and can be installed on premise or can be hosted anywhere you like. When you need a new platform to manage an enterprise and an unlimited number of your constituent's microsites (wheel). This license gives you full access to our module gallery and a Site Wizard with an unlimited number of (ancestor) microsites which you can create and manage (each with unique URLs, designs, and administrators). This license includes full access to our Module Gallery, and can be installed on premise or can be hosted anywhere you like. If individual portals are required (each with their own family of microsites, it requires an additional master enterprise license for each. When you need an industrial strength architecture to manage multiple Masters server, even if they are installed at different physical locations (around the world). The Centralpoint Uber license enables you to centrally develop new tools, features, able to keep every installation up to date, and in stride, through a remote pull update (synchronizing both code and database structure(s). Centralpoint Uber puts you in full control over Agile, Rapid Application Development and distribution to your disparate physical installations. This license includes full access to our Module Gallery, for each Master installation and comes with a special development server in which to feed your updates. Centralpoint Uber License may be white labeled (premium) for those vendors interested in re-licensing or re-marketing it under their brand. Sharepoint depends on multiple instances of SQL databases (note: plural) to seemlessly organize your information. In reality it is merely storing your information in many different databases, and is not being stored within a singular, centralized database. Centralpoint Digital Experience Platform is built upon a singular database, but is designed to consider much more. Centralpoint can manage all of your records within a singular database, but due to our superior database design, it consider much more. Centralpoint considers the many audiences, taxonomies and roles which that one singular record relates to. This means everyone may be searching the same database, but the filter of which records meet their audiences or role(s) are considered with each page view. This empowers you to manage your information as a source of truth. One update to a singular record (or element) could cascade through and to only some users or all....from a central point. Centralpoint's more intelligent database design allows us to do more with less, rendering dynamic DITA documents or webpages uniquely for each user. Centralpoint provides you with greater functionality which you can see in our module gallery. 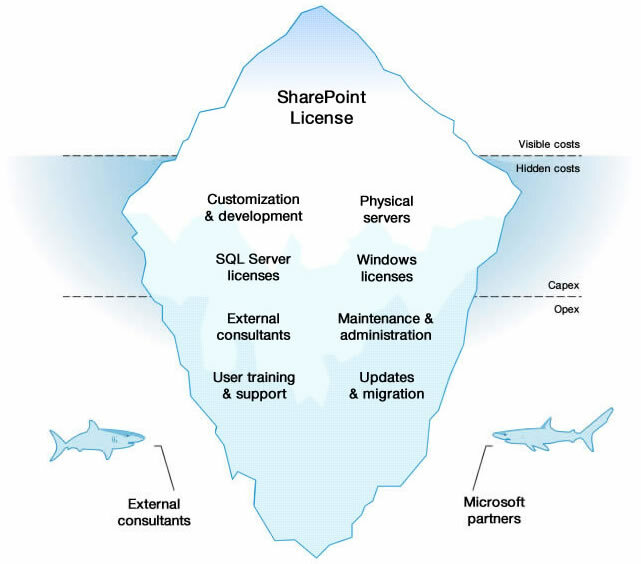 Centralpoint is easier to manage and is far more flexible than Sharepoint. Centralpoint, like Sharepoint, authenticates with Active Directory to securely welcome and serve each user, but it also integrates with others; like SAML, oAuth, OpenID or custom sources. This means that you have a more agnostic way to deal with all users, regardless of where they may authenticate from. Centralpoint also does more when it comes to tracking the activity of each user. Centralpoint's support of Deep Links allow that authentication to do more for each user once logged in, like provide them single click access to other applications without having to sign in again. Centralpoint also tracks all user activity, considerate of gamification, allowing you to see each user's usage, but also to quantify and incentivize those to interact more. If considering an alternative to Sharepoint is political, Centralpoint can be used to enhance your existing Sharepoint installation. We get it, moving something like Sharepoint is herculean and difficult. In this example, Centralpoint can live on top or aside Sharepoint, providing the robust log in, UI/UX, Design, but most all records submitted can be deposited directly into Sharepoint. Enterprises today require significant integration with many systems and applications. Centralpoint's Web API goes beyond traditional APIs, allowing your restful, secure, encrypted web service calls to be highly configurable. Using Get, Post, Update & Delete virtually any information can be integrated with your back office, or mashed up within Centralpoint's presentation layer. You can also leverage our out of the box integrations with the following vendors for rapid development of your robust enterprise.